Atlantic Research Group welcomes Dr. Ignazio di Giovanna as Vice-President of European Operations. Previously, Ignazio owned and operated CCA Clinical Research, from 1999 until its recent acquisition by ARG. During his career, Ignazio has worked on a number of industry initiatives with bodies including the Institute of Clinical Research, Clinical & Contract Research Association, Biotechnology & Pharmaceuticals Sector Advisory Group, Association of the British Pharmaceutical Industry, the NHS, and UK Clinical Research Network. The following interview provides insight into Ignazio’s past experiences and future opportunities. Thanks for taking the time to help us get to know you. How did you get started in clinical trials? Ignazio: I started in clinical trials as a way of financing my PhD research at Guys’ Hospital London. I was based in a unit that performed a number of non-invasive blood flow assessments– and my PhD involved developing a non-invasive diagnostic test for compromised leg arterial flow. The thought was to try to non-invasively distinguish between severely stenotic vs. blocked arteries which, until then, could only be done by radiology with a radiological dye. A number of Pharma companies used our techniques to evaluate the effects of their Investigational Medicinal Products (IMPs) on arterial and venous flow. Ignazio: I was actually an investigator for some studies in angina, heart failure and peripheral claudication. Our close collaboration with Pharma developed my interest in clinical trials and drug development, so following my PhD, I joined (then) Rhône-Poulenc (now part of Sanofi), in the Cardiovascular Research Department as a CRA. This was in 1986. How did CCA get started? Ignazio: I was part of a large UK-based research unit, under a much larger Paris-based Research department. Three of us decided that big Pharma was not for us; we could provide better service. Two of my colleagues set up CCA and bid on a major GP-based study. I joined shortly after, and then took full control of CCA in 1999. Recently Lyle said acquiring CCA is one of the major mileposts in the history of ARG— on par with forming the company and getting the first approval. What have been some of CCA’s major marking points along the way? Ignazio: I completely agree with Lyle, this is also a major milestone in CCA’s history, for all the reasons I’ve already spoken about. On a more personal level, going “solo” in 1999 was a major turning point because my role up to then at CCA was in clinical operations. Taking on an overall leadership of the company led to very steep learning curves in financial management and business development. Another key moment was when I also made the decision to concentrate on small Pharma and the developing biotech market. Why is this the right time to join ARG? 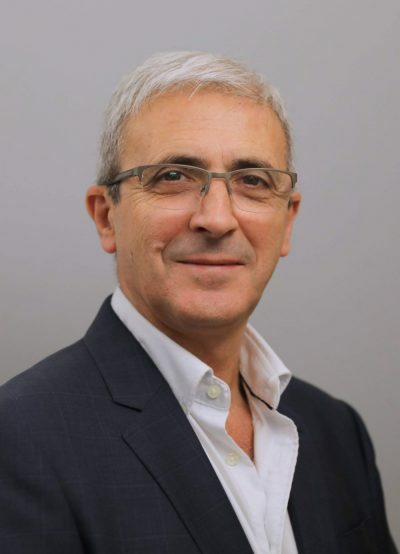 Ignazio: CCA has enjoyed a very successful time as a small niche CRO, performing high quality studies in very specialized and rare disease areas, working exclusively in the UK. I think the time is now right for CCA to expand its coverage outside the UK. How is ARG the right fit? Ignazio: CCA and ARG have worked together for over 10 years and share the same ethos and principles toward both clients and staff; it’s the perfect fit. What new growth opportunities will (the former CCA and now ARG) team members enjoy? How else will this union benefit them? Ignazio: It is an exciting time because we will enjoy greater geographical cover and be able to provide staff with a wider range of job and career opportunities. CCA clients will benefit from a broader range of experience and services brought by ARG and vice-versa. How do you feel about your new role as VP European Operations? What challenges are you looking forward to? Ignazio: I feel my very international exposure–Italian by birth, UK resident for some 50 years, and extensive experience working with US based Biotechs–gives me the advantage of having feet in all camps. My new role will be challenging but extremely exciting, allowing me to use all my previous expertise and knowledge to put me at the forefront of developing ARG in Europe in general and continue promoting our high quality clinical research services.